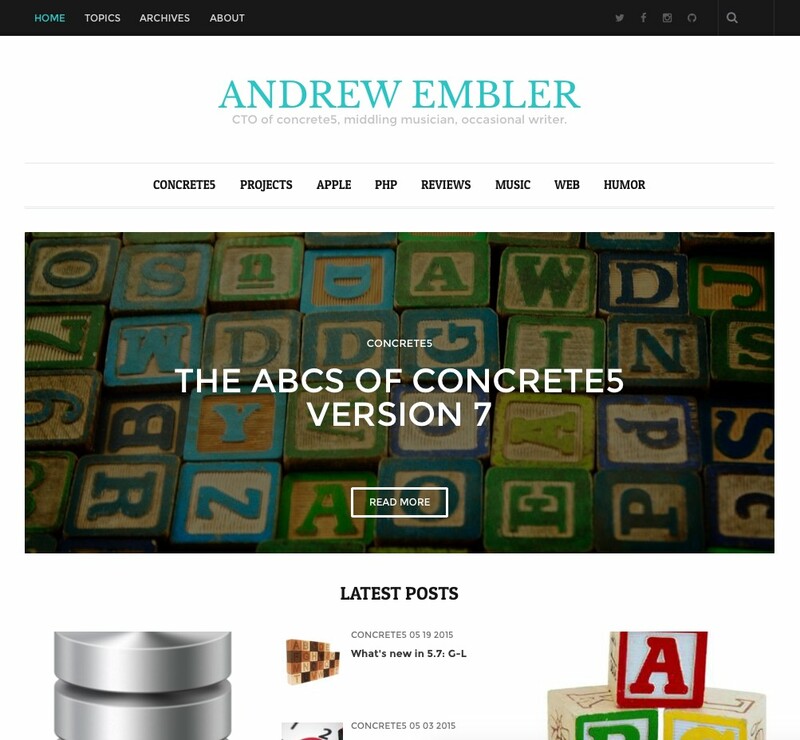 It's taken over a year, but I'm finally proudly able to present the new version of andrewembler.com. I hope that this functions as a great showcase of how Concrete5 can be used as a blog, and the custom development that I've done to make that happen. To that end, I'm presenting a series of articles on exactly how that's happened. Let me know if you have questions about any specific aspect of the site and I'd be happy to post about it.